Senior HSBC executives across the globe are to be tasked with reducing the number of applications they run as part of their key performance indicators (KPIs). Regulatory requirements for greater transparency have led the bank to reduce its application portfolio, said Duncan Waide, global head of IT operational data at HSBC, speaking at the Forrester Forum conference in London. The HSBC board, as part of its overarching business strategy – Simplify the Bank – recently approved an architecture-led strategy to halve the number of applications across the whole group over a 10-year period. To provide the information needed to make this strategic decision, HSBC needed to integrate existing scattered operational data in a way never attempted before. 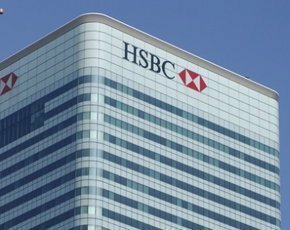 Maintaining an accurate catalogue of applications is allowing HSBC to provide data needed by the regulators, as well as helping the bank modernise its legacy IT, according to Waide. "We have to change how we deliver every single IT process and we have to modernise IT," he said. HSBC has made IT savings of $800m in the past two years through a streamlining programme that has reduced costs by $4.5bn.The bank cut costs through strategies that included moving software development offshore to lower-cost regions. Starting 18 months ago, the bank re-engineered its enterprise architecture to simplify IT and create a visual dashboard, built on an enterprise information management tool from Troux, to enable people across the bank to see which applications were being used. "It took a year to reduce 50,000 application records to 7,000 records," said Waide, pointing out that the dashboard became a valuable tool for everyone across the organisation. The enterprise architecture team built a functional model of the bank in a dashboard, with the customer at its centre, which was mapped to all the applications deployed at the bank. It found "massive duplication", according to Waide. Using the dashboard, he said the business could understand where there was duplication, allowing executives to determine which applications were strategic. "The business can interact strategically with the [application] portfolio," he explained. Given that the more applications run by the bank, the greater the cost and the harder it is to find the right information from a regulatory compliance perspective, Waide said the dashboard has become part of the business strategy. "In the next few weeks, each executive in the business will get a scorecard where one of their objectives will be to reduce their application portfolio," he said. HSBC has also developed a total cost of ownership (TCO) dashboard, which enables IT to model the cost of the application and helps decision-makers identify which applications to drop to reduce costs.